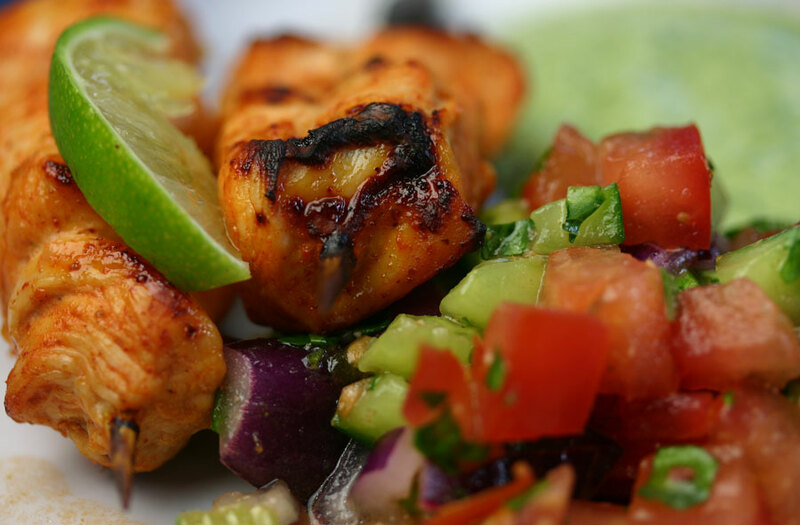 This oven-baked chicken tikka is dead easy to make. The most time consuming bit is threading the pieces of chicken onto the skewers. It also works really well with chunks of paneer. The recipe is an adaptation of Meera Sodha’s version in her Made in India cookbook.